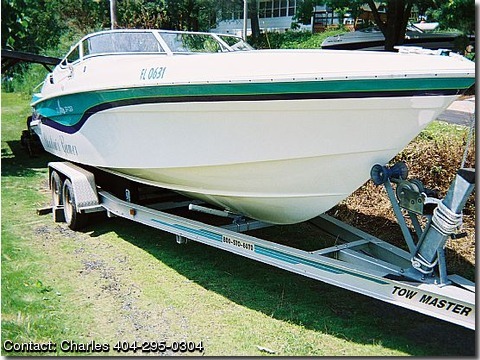 Depth Finder,am/fm stereo cassette, blue & purple factory graphics, 2 axle Tow Master galvinized trailer, battery. 300 hours on the boat, 100 hours on a new engine. The boat is in excellent shape. Two canvas covers plus a Bimini Top. Full set of factory gauges.